VisitScotland / Kenny Lam, all rights reserved. 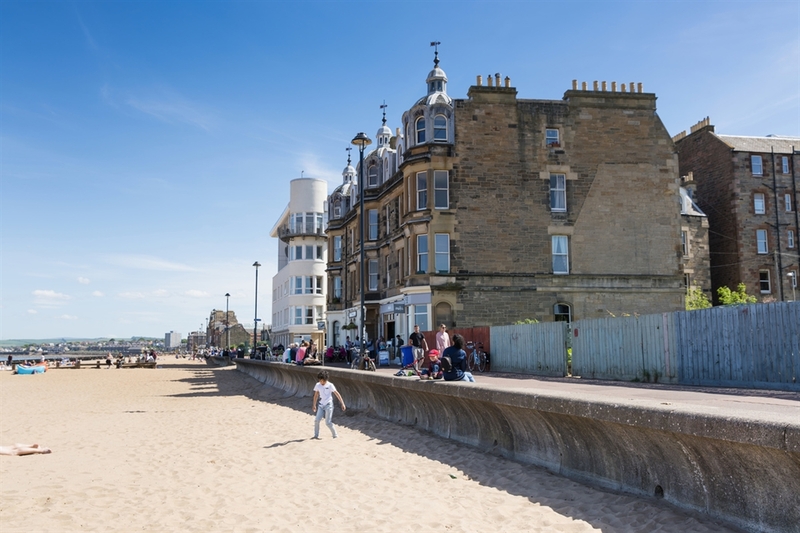 Portobello Beach, a few miles from Edinburgh city centre, is a charming seaside suburb, with two miles of sand making it perfect for swimming and sunbathing. 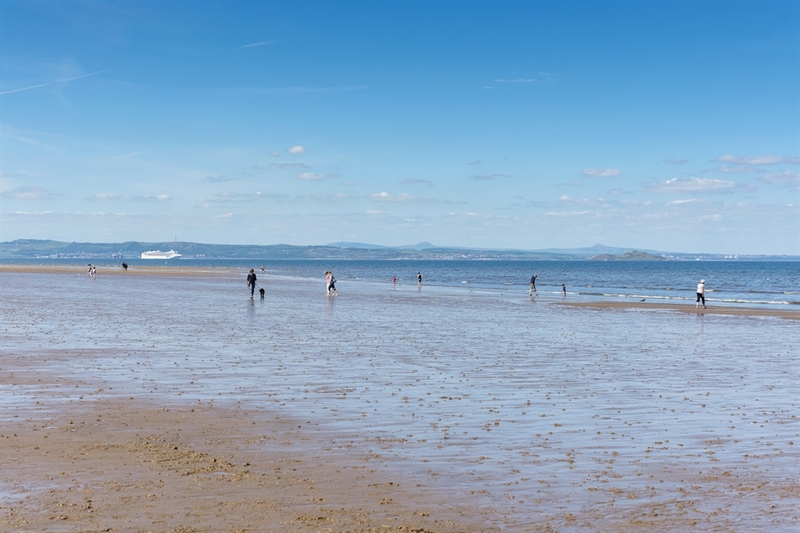 The Seaside Award-winning beach draws large crowds in good weather and, along with the promenade, hosts a number of popular events, including the annual Big Beach Busk, international volleyball competitions and triathlon events. The Portobello Kayaking and Sailing Club is based here, along with RowPorty, a community-run coastal rowing club. Look out also for the splendid Victorian swimming pool, featuring an original Aerotone and Turkish baths. If you are seeking refreshment, there is a choice of several bars and cafés on the promenade, with further options on Portobello’s bustling high street, including quality independent restaurants and gift shops. There is a market in Brighton Park on the first Saturday of every month, selling fresh local produce as well as crafts. Portobello’s elegant Georgian and Victorian architecture is protected within the conservation area and there are a number of attractive parks to enjoy. 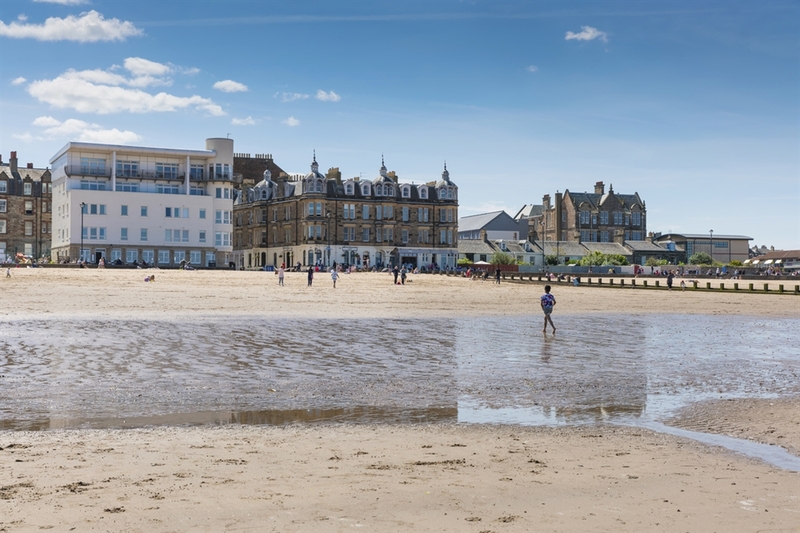 An independent town until 1896, Portobello retains its unique character and sense of identity, making a trip to Edinburgh’s Seaside an essential part of your visit to Scotland’s capital city.